This is going to be a tricky one as most HotUKDeal buyers are going to go with price and colour. 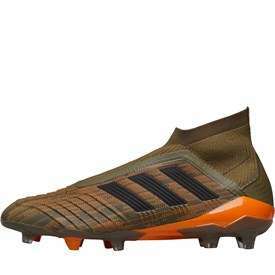 It is the top of the current predator line though and you're right about the ridiculous rrp. If you don't have any boots already, play regularly and fancy laceless it might be a good purchase. Deal posting newbie! This is Michael_Currums first deal post. Help out by leaving a posting tip or just to show your appreciation for their contribution.